As a parent, you already have plenty of things to worry about when it comes to your kids without the problem of head lice adding to your troubles. Fortunately, if you live in the Wellington area, there is a solution to this problem close to you. At Lice Lifters Palm Beach Gardens, we have a safe, fast and effective treatment for head lice available to you and your entire family. All you need to do is fill out the contact form on this page, and one of our friendly staff will get in touch with you to set up an appointment to make this problem history in a single visit. 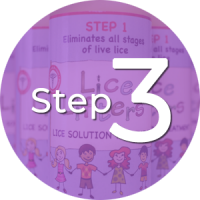 The secret to our success at effectively combating head lice is the series of steps we take that comprise our lice treatment process. At Lice Lifters Palm Beach Gardens, we start by verifying that head lice are the problem for any family members you believe are infested with them. We do this with a combing head check. Once lice and their eggs, or nits, are found, one of our certified lice technicians will do a comb-out to remove them. Given that any remaining lice or nits can cause the problem to start up all over again, we finish by applying an all-natural killing agent that’s very effective at killing any remaining lice. 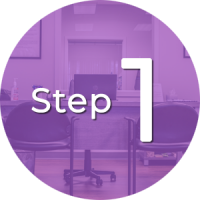 Head lice are not going to go away on their own, so you need to make an appointment, and come to our lice clinic at your earliest convenience. 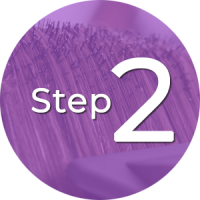 This important part of our process is where we physically remove as many lice and nits as possible. We utilize our experience and a specialized comb for this. This is your insurance against an infestation popping up again right after you leave. This safe, all-natural, non-toxic killing agent kills all remaining live lice activity. At Lice Lifters Palm Beach Gardens, our lice removal process is among the best on the market today, and we are the solution to this problem for parents such as yourself in the Wellington area. It’s so effective that many of the people who come to us have been recommended by their pediatrician or school nurse. As effective as our treatment is, we also go the extra mile in making your entire family feel welcome at Lice Lifters Palm Beach Gardens. As a parent, you’ll be impressed with how we treat your children as we get them lice free in our kid-friendly establishment. We are conveniently located for your family. We use a killing agent that mobile services lack. Our killing agent is all-natural and non-toxic. Our friendly certified technicians will put you and your kids at ease. We’re recommended by many school nurses and pediatricians. You’ll enter a professional, family-friendly establishment. We’ll do a head check to verify lice are the problem. Any infested loved ones will receive a thorough comb-out. We’re available 7 days a week for your convenience. We have entertainment and snacks for your wait.